Meet Lorena Lock, winner of BakerRipley's Entrepreneur Academy 2016 Pitch Event and owner of a Million Cakes. Meet Lorena Lock, winner of BakerRipley’s Entrepreneur Academy 2016 Pitch Event and owner of a Million Cakes. A native of Peru, her passion for cooking started when she was a young girl. When Lorena moved to Houston with her husband, she would bake all the cakes for her friends. The cakes were so good, her friends encouraged her to open a business, but she never took it too seriously. Until one day, her friends took matters into their own hands and made business cards for her. Not too long after, the phone started ringing, the orders started coming in and they haven’t stopped since. 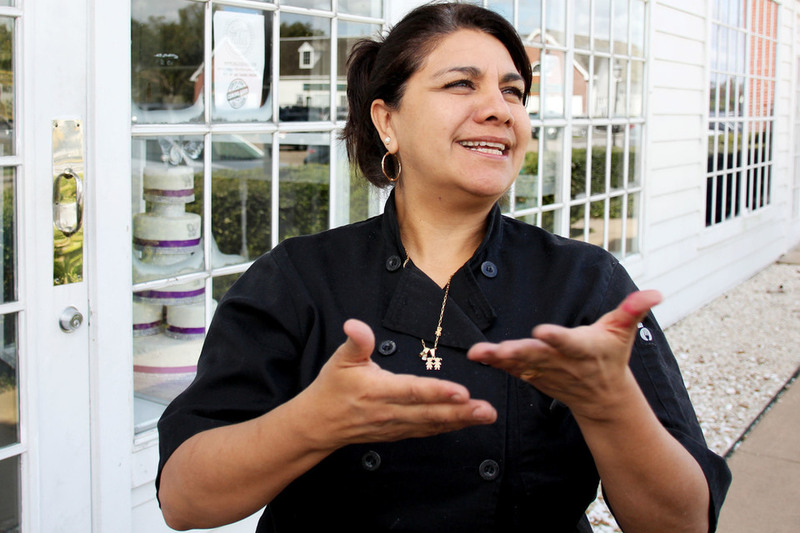 After ten years of up’s and downs, making cakes in her small kitchen, working at a bakery and running a business from her house, Lorena is ready to open a Million Cakes. When a Million Cakes opens its doors on December 7th, it will mark the first time an academy graduate is opening a commercial retail shop. The Entrepreneur Academy is a 10-week all Spanish program that teaches participants the basics of starting and running a small business. To complete the program, participants attend a Pitch Event where they present their business plan to three judges – out of nine contestants Lorena won first place and $750 towards business expenses. 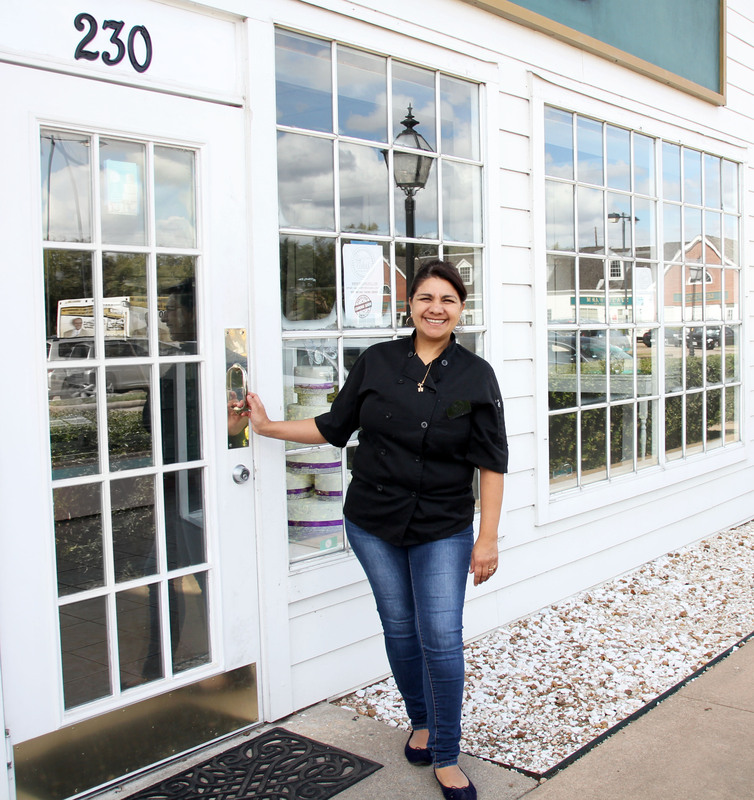 We caught up with Lorena as she prepares for the grand opening. What tips do you have for young entrepreneurs? Be determined; don’t worry about what’s going to happen tomorrow. If you are determined everything will work out. You have to believe in what you’re doing and take time to know your business. I thought of going to culinary school but couldn’t afford it, so I started working in a bakery to learn about the industry. How did the Entrepreneur Academy help your small business? This program is a great resource; the people who run it are always willing to help and designed it with the immigrant in mind. It’s in Spanish, so language is not a barrier. It helps you get organized and provides guidance on everything from accounting, marketing and taxes. There are a lot of young people who dream and have the determination of opening a small business, but just don’t have the tools. This program is an eye-opener, sometimes it feels like you’re running around in circles when starting a business and this provides everything you need to start. How does it feel to open your own bakery? I’m happy now, because I’ll be able to give two people a job or maybe even three. I like to give back what I receive. And I finally have a large freezer and appropriate storage space. The grand opening ceremony will take place on Wednesday, December 7 – click here for more info.